Thanks for trying the preview of Smart Filter Pro. We are glad to announce the Smart Filter Pro is now released and available for purchase. 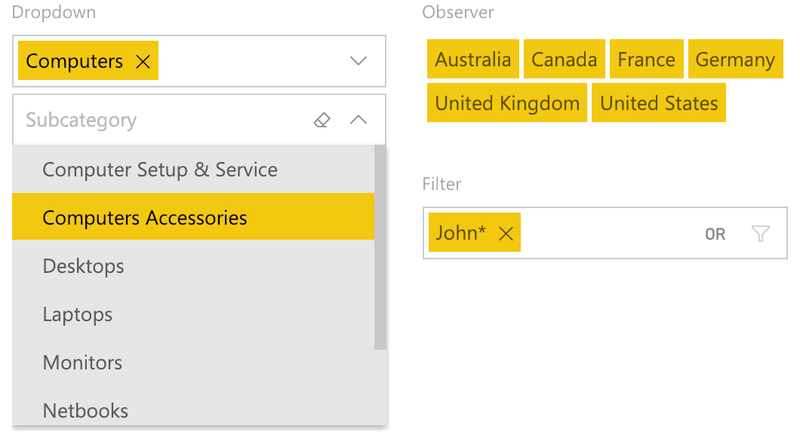 If you have reports using the preview version of Smart Filter Pro, you should update it to the latest release (v2.0.5) within February 28, 2019. Important: do not remove existing versions from Organizational Custom Visuals repository (OCV) before updating all the reports. Read the Guide to upgrade the preview version of Smart Filter Pro for detailed instructions. You can start your subscription immediately and you will get the first 30 days for free, obtaining the same benefits of a new free trial. Choose the best plan for you: per user, per capacity, or for Power BI Embedded. For more information, read our Frequently Asked Questions page. 2016-2019 © OKViz. All rights are reserved.